Osteomyelitis is infection in the bones. Often, the original site of infection is elsewhere in the body, and spreads to the bone by the blood. 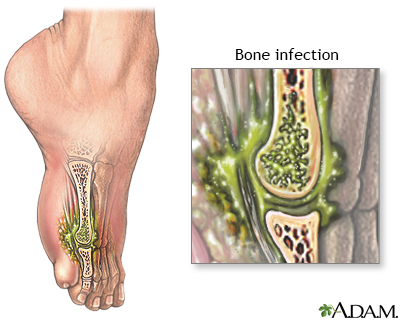 Bacteria or fungus may sometimes be responsible for osteomyelitis.